Crowds gathered outside the hotel as the groom, who donned an all white outfit with gold accents and a bright red turban for an added pop of color, made his big entrance in a fashion that mixed centuries-old tradition with 2018 flair. Instead of arriving on the back of a regal white horse, this groom led the crowd in his Baraat—the groom’s processional preceding a traditional Indian wedding ceremony—while poking out of the sun roof of a white jeep. Drummers provided the beat as the crowd followed closely by and danced. When the procession ended back inside the wedding venue, guests were welcomed to a room filled with vibrant colors, live entertainment, and mendhi artists providing henna tattoos, which were an especially nice touch for the women wrapped in saris. A fully stocked bar was complemented by food like chicken tikka masala, samosas, jasmine rice, naan, and many other mouth watering options. For all intents and purposes, the scene seemed like something out of a typical Indian wedding, but what made it unique was the location: the Hard Rock Hotel Cancun. And this wedding was actually no wedding at all, but a part of the ISHQ Rocks WOW Specialist program showcasing the wide variety of services that the all-inclusive Hard Rock properties in Mexico and the Dominican Republic have to offer for destination Indian weddings. 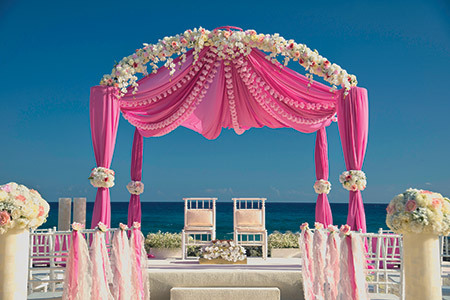 Guests hosting a South Asian Wedding at one of the all-inclusive Hard Rock properties can opt for a beachfront ceremony. Since 2014, the Hard Rock has offered the ISHQ Rocks WOW Specialist program as an extension of the general Weddings on Water (WOW) Specialist program, but ISHQ Rocks is not only for Indian weddings. Advisors using the program to specialize in this ever-growing market are opening the doors to booking South Asian weddings in general, which encompasses the wide variety of cultural and religious traditions of India and several other nearby countries such as Pakistan, Afghanistan, Nepal, Bhutan, and Bangladesh. Through the program, advisors will learn from start to finish everything they need to know for booking the multi-day events associated with a South Asian wedding from the Sangeet to the Vatna. According to Nirali Shah, the South Asian destination wedding specialist behind Nirali’s Events and a presenter throughout the training, just having a basic idea of the terminology when initially speaking with clients will help build a connection and trust that can eventually lead to bookings. In order to participate in the ISHQ Rocks WOW Specialist program, agents must be an active certified WOW Specialist; sell a minimum of two destination weddings per year at any all-inclusive Hard Rock Hotel; live in an area or have reach to market to the South Asian demographic; and be approved by a Business Development Manager. In addition to the opportunity to book South Asian weddings at the Hard Rock, being an ISHQ Rocks Specialist comes with a few extra perks. Once agents have met the requirements, they will be enlisted in the program and receive marketing materials, exclusive client benefits, exclusive FAM trips, one certificate for $1,000 to be used towards a South Asian wedding ceremony, and more. 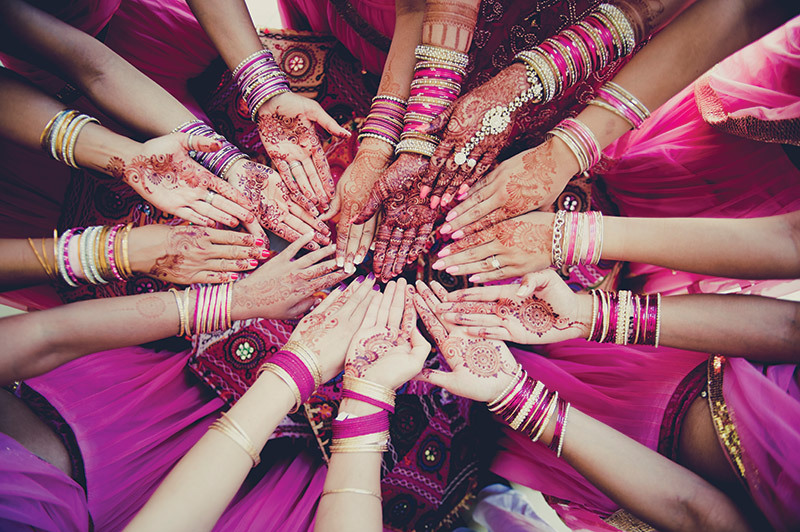 In-house vendors can provide services such as bridal henna for the entire bridal party as well as guests. After years of investing in the South Asian destination wedding market, the Hard Rock has not only created this specialist program, but has also become a one-stop shop for South Asian destination weddings complete with in-house vendors that specialize in almost all aspects of the different ceremonies and events that go along with these nuptials. These vendors include decor, hair and makeup, bridal henna, veil and sari draping, catering, an officiant, professional dance teams trained in traditional South Asian dance styles, and photographers and videographers who know exactly what special moments to look for throughout the ceremonies and events. And for that special Baraat processional preceding the wedding? Our fake groom chose a white jeep, but a white horse is also available at all of the Hard Rock properties. 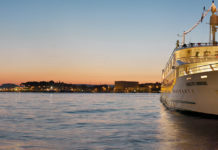 For grooms looking to make a less traditional entrance, boats, jet skis, bicycles, luxury cars, and much more can all be arranged. Musicians for the dhol, a traditional South Asian drum, are also available for the Baraat. 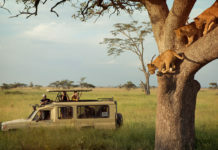 Tembe also points out that one of the Hard Rock’s strongest selling points for travel advisors is that “we are the only the only all-inclusive brand that does its wedding planning from the United States of America, and that is a huge game changer.” When agents get ready to book a South Asian wedding, they are dealing directly with a team of coordinators based in Miami, which according to Tembe, makes for easier and faster communication in addition to connecting agents with someone who has been trained in all aspects of a South Asian wedding and can walk them through every step of the way. For more information on how to become an ISHQ WOW Specialist, visit allinagents.com. To learn about about the Hard Rock’s Colin Cowie Wedding Collections for non-South Asian weddings, click here.